Entrepreneurs and innovators have used design methods and processes for decades to create new solutions for many different types of challenges. 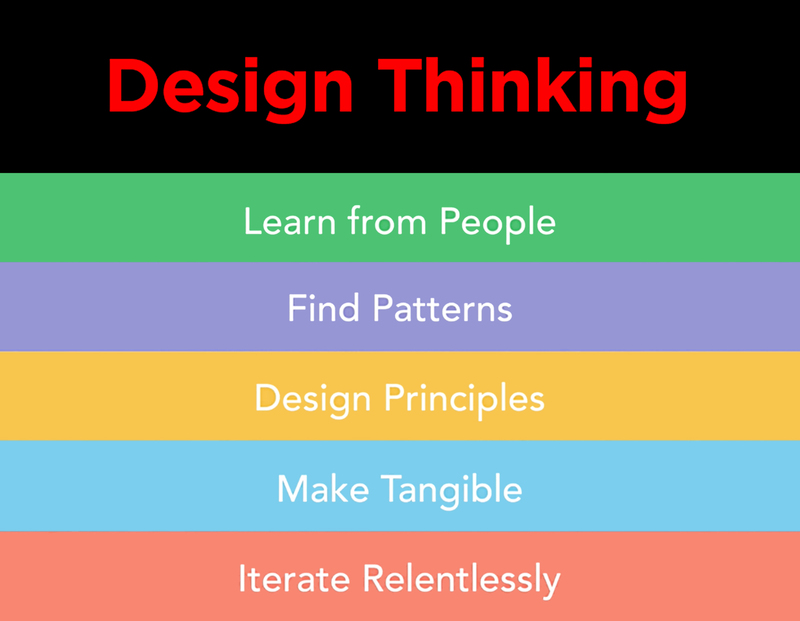 But Design Thinking isn’t just about specific steps to follow in order to innovate. It’s about being aware of the world around us, believing that we play a role in shaping that world, and taking action toward a better future. Design Thinking begins with understanding the needs and motivations of other people. We talk with them, listen to them, and consider how best to help them. Design Thinking begins from this place of deep empathy and builds on the power of these empathetic questions and insights. Designing requires conversation, critique, and teamwork. Addressing complex (or even not-so-complex) challenges benefits significantly from the views of multiple perspectives – the more differing the better – and others’ creativity bolstering our own. When we are designing new solutions, we are committing to trying something new. Thinking like a designer gives us permission to fail and to learn from our mistakes, because we come up with new ideas, get feedback on them, then iterate. There is an underlying expectation that we must strive for perfection, that we may not make mistakes, that we should always be flawless. This expectation makes it hard to take risks. It limits the possibilities to create more radical change. Design Thinking is the fundamental belief that we all can create change, no matter how big a problem, how little time, or how small a budget. No matter what constraints exist around us, Design Thinking can be successfully applied. In short, Design Thinking is the confidence that new, better things are possible and that we can make them happen.